I have a serious love affair with cheesecake and everyone who knows me knows it’s my favorite dessert. My cheesecake addiction is bad…I’ve been known to go to a particular cheesecake place and spend $70 on slices of cheesecake. I told you it’s bad. LOL! After a while, I decided to start baking my own cheesecakes. I’m not a fan of graham cracker crust, so I’ve experimented with a few different crusts. The brownie bottom is a favorite of my daughters. It takes a little more work, but it is so worth it in the end. I have few that are family favorites. Even my ex-husband has asked me to bake him one after we were divorced. Of course, I gave him the confused puppy look. I later found out my daughters were smuggling him my baking experiments. My daughters are characters. Everyone seems to love my Lemon Brownie Cheesecake, so I decided to share it with you. I don’t use sugar and I haven’t in years. 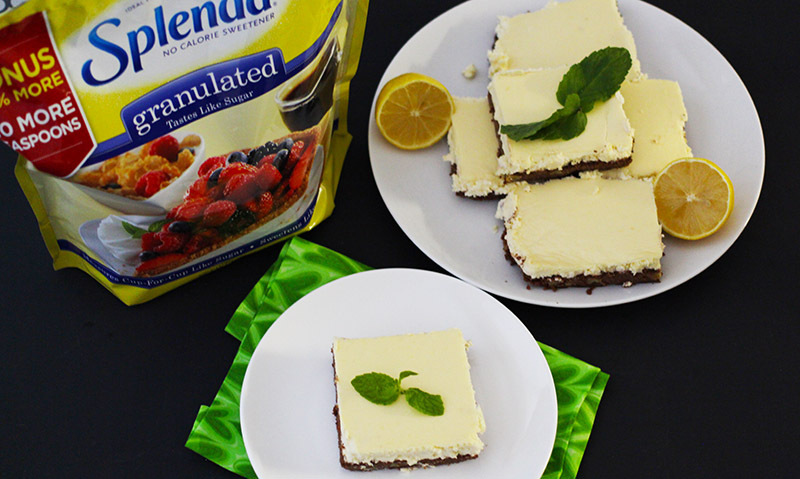 I only use SPLENDA® for anything that requires sugar; cooking, baking, drinks, etc. To me, it has the same sweetness without all of the calories of sugar. I made the switch when I started to pay attention to my sugar intake but more importantly, the sugar intake of my girls. 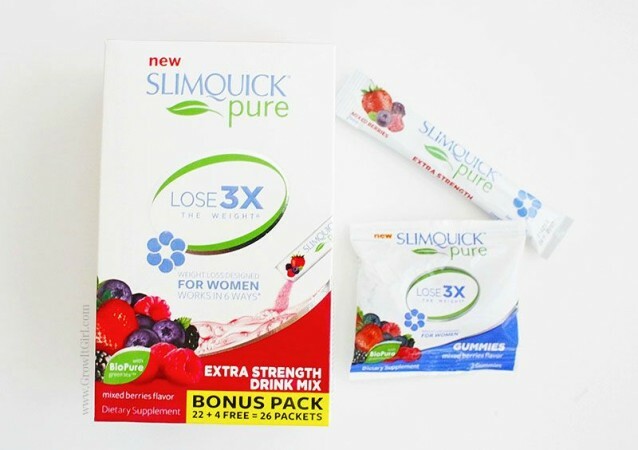 I was shocked to learn that most Americans intake 22 teaspoons or more of sugar per day, which is three times the recommended daily allowance! That is crazy! I hope you enjoy my Lemon Brownie Cheesecake recipe. 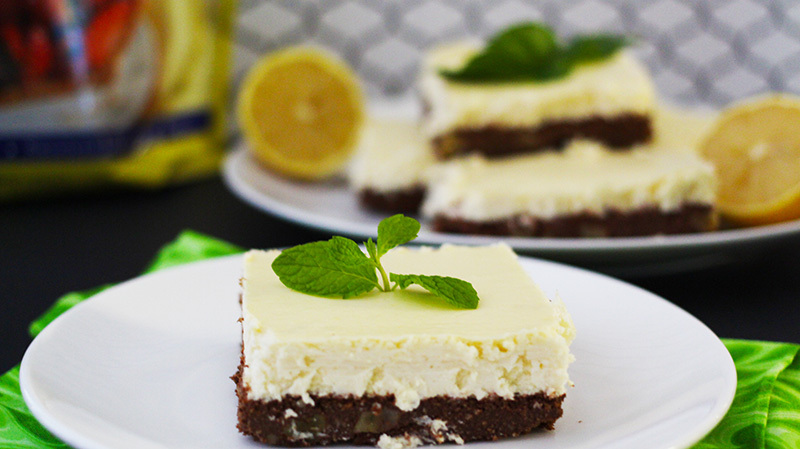 A lemon cheesecake on a brownie crust. Starting with the brownie base and add ingredients in the order. Preheat oven to 300. You can use a springform pan or a X BY X pan. In a glass bowl or other microwave safe dish, melt the butter for 30- 45 seconds. In a small bowl add the coconut flour, cocoa powder, and SPLENDA®. Whisk until well blended. Add dry mixture to a large mixing bowl blend butter, eggs, coconut milk and vanilla. Slowly added dry ingredients until well blended. Stir in walnuts by hand. Spread evenly at the bottom of a greased pan and bake for 20 minutes. Remove the brownie for the oven and let cool for 30 minutes. 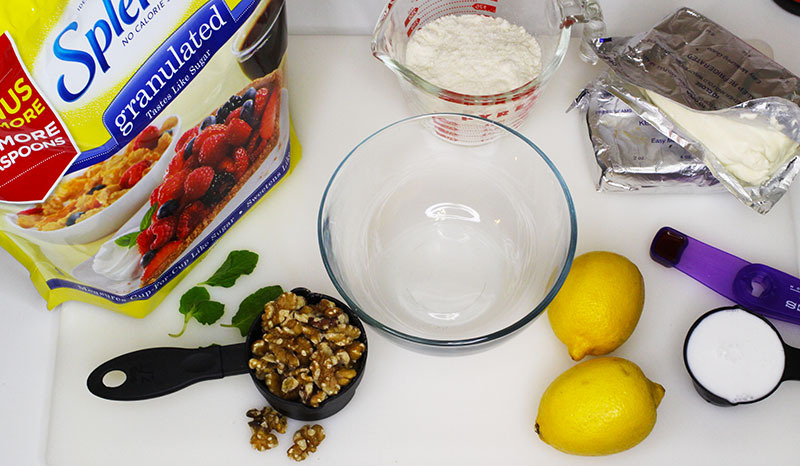 While it is cooling, mix filling ingredients. In a large mixing bowl, blend cream cheese and eggs. Slowly add in SPLENDA® and blend until smooth. Then begin to add in remaining ingredients. Pour filling over cooled brownie bottom and spread evenly. 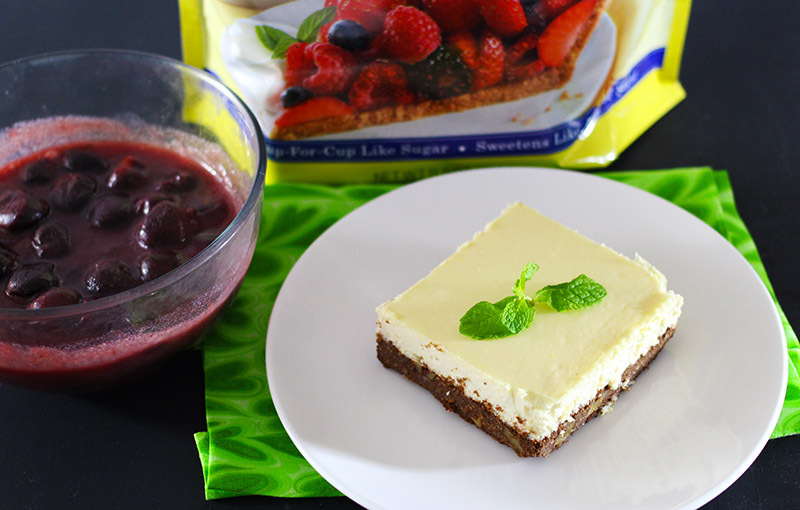 Bake cheesecake for 30 minutes or until set. Remove the cheesecake from the over and let it cool for 30 minutes. Place in the fridge to set completely for 2 hours or until cool. I prefer to leave in the fridge overnight. Remove cream cheese and eggs from the fridge a few hours before baking. It's best to work with cream cheese at room temperature. 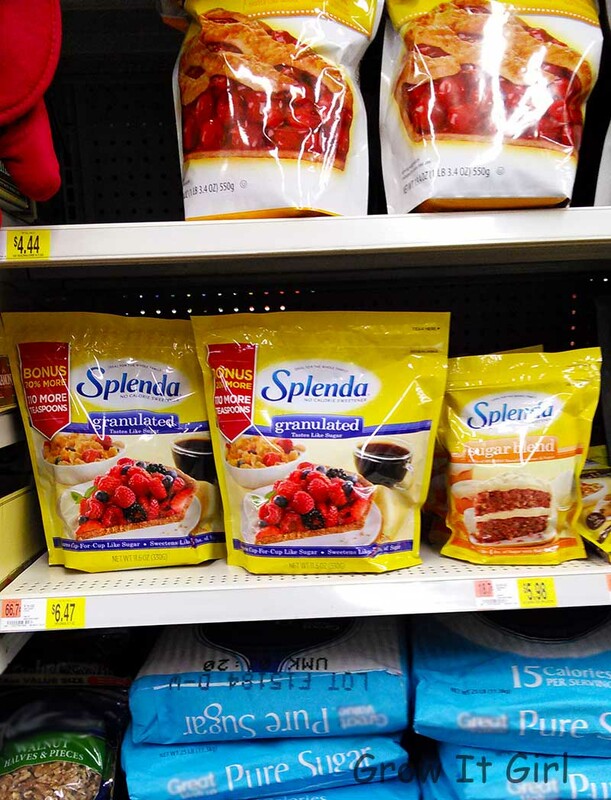 Apparently, others are getting hip to the benefits of swapping SPLENDA® during their holiday baking. I had to stop by two Walmarts to pick up a bag. Here’s where I found it at my local Walmart. If you would like the recipe for the cherry topping, please let me know and I will be happy to post it this week. 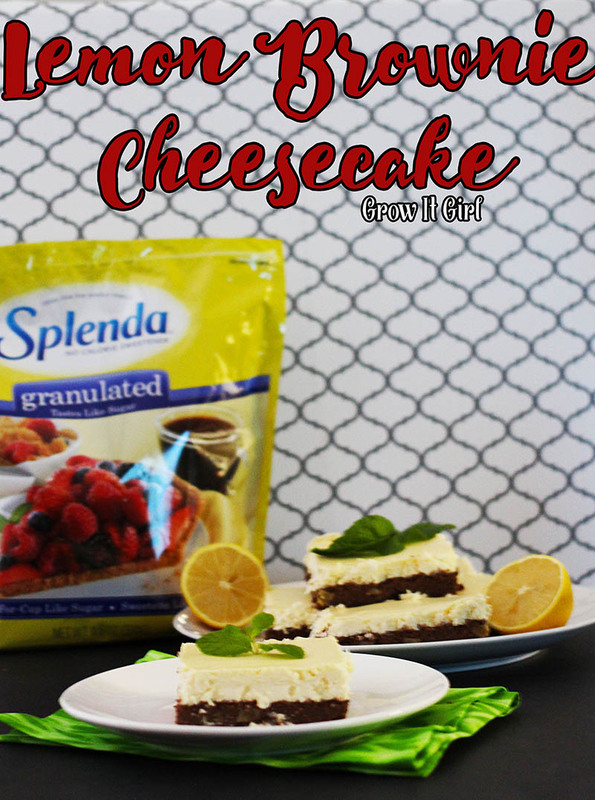 To help promote their SPLENDA® SWEET SWAPS initiative, SPLENDA® is hosting a giveaway. 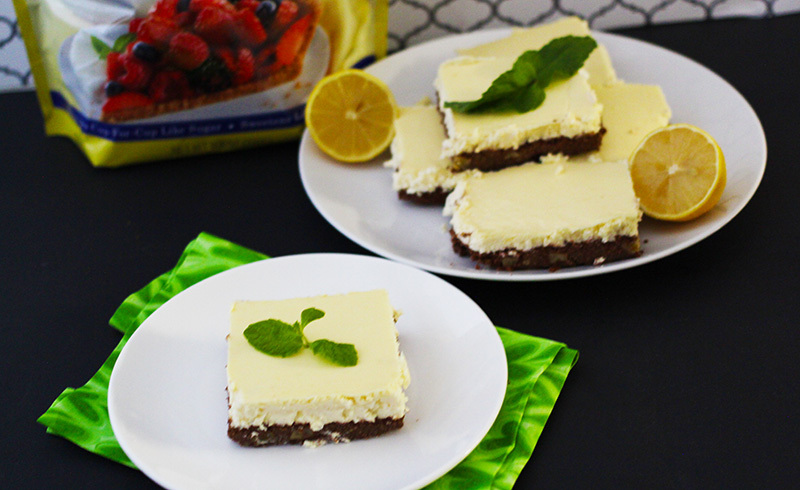 What topping would you serve with the Lemon Brownie Cheesecake? 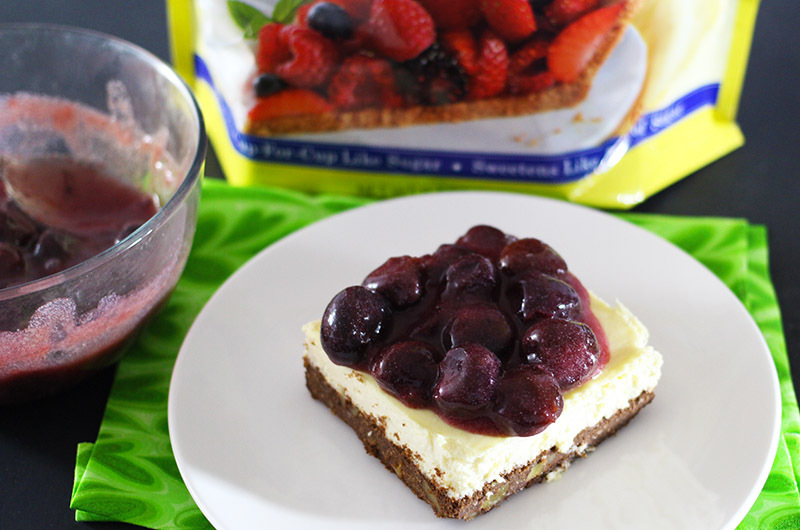 I want to a lot of this cheesecake, it is totally guilt free! Yum girl. I make a lemon cheesecake from scratch – but not a brownie one. I’ll need to try it now – my hubs would love it. Mmm… Cheesecake! I love Splenda, I keep a huge container of it on hand. I don’t even buy sugar, anymore. 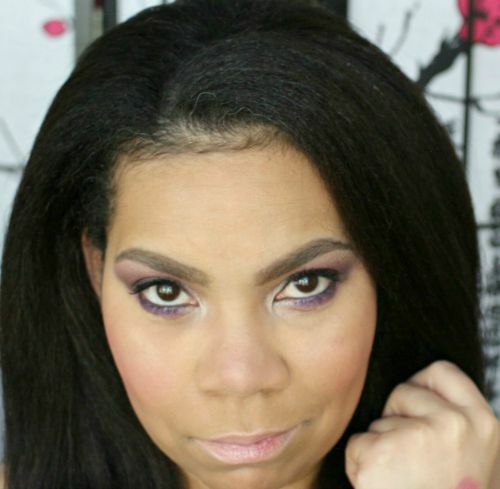 Destany recently posted…Literary Lacquers 2015 Community Collection swatches and a giveaway! These sound and look soo good! I love the idea of combing brownie and cheesecake. I love cheesecake too!!! Your version looks so yummy! What a great recipe. I love that your ex misses your baking. 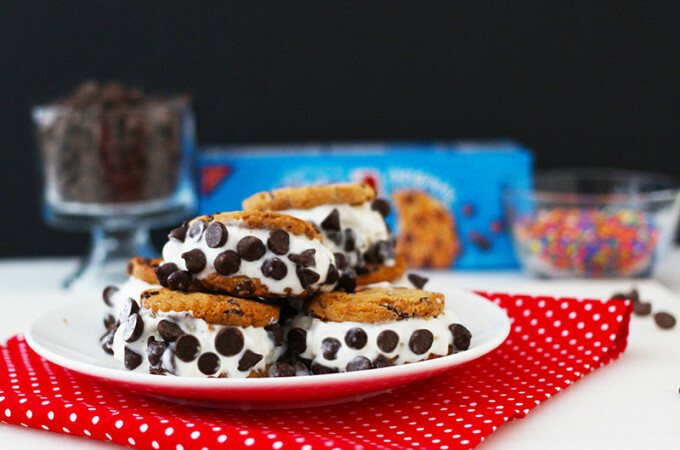 The brownie on the bottom is an interesting idea! Gah I want some right NOW! It looks seriously delicious! That looks pretty good! I haven’t tried using coconut flour so I’ll be adding that to my pantry!